The SPOT service requires an annual subscription - see www.findmespot.eu for latest rates. Extreme Tracking Get all of the great features of Unlimited Tracking, but with the added ability to vary your track rate down to every 2½ minutes. Don't miss a step with increased track rates! SOS - with the push of a button, GEOS International Emergency Response Coordination Center provides your GPS coordinates and information to local response teams - for example contacting 9-1-1 responders in North America and 1-1-2 responders in Europe The SOS button is for emergencies only. Once activated, SPOT will acquire its exact coordinates from the GPS network, and send that location along with a distress message to the GEOS International Emergency Response Center every five minutes until cancelled or until the batteries are depleted. The Emergency Response Center notifies the appropriate emergency responders based on your GPS location and personal information - which may include local police, highway patrol, the Coast Guard, our country's embassy or consulate, or other emergency search and rescue teams - as well as notifying your emergency contacts about the receipt of a distress signal. 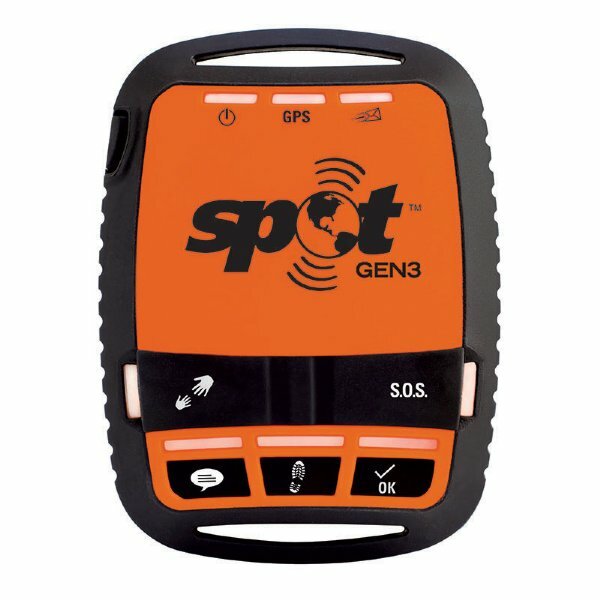 Even if SPOT cannot acquire its location from the GPS network it will still attempt to send a distress signal, without exact location, to GEOS, which will still notify your contacts of the signal and continue to monitor the network for further messages. The 911 emergency centre is operated by GEOS Search and Rescue who will arrange for response from the appropriate local service. Check In - Let family and friends know you're ok when you're out of cell phone range. Send a pre-programmed text message with GPS coordinates or an email with a link to Google Mapsâ„¢ to your contacts with your location. With a push of a button, a message is sent via email or SMS to up to 10 pre-determined contacts and your waypoint is stored in your SPOT account for later reference. Your stored waypoints can be easily integrated into a SPOT Shared Page or SPOT Adventure account. Once you have activated your SPOT Messenger and set up your account, you can change your contacts and customize your message at any time. When you push the Check-in button, you send one pre-programmed message to your contacts. Your contacts will receive an SMS text message including coordinates, or an email with a link to Google Mapsâ„¢ showing your location. Help - Alert your personal contacts that you need help in non-life-threatening situations. SPOT acquires your location from the GPS network and routes it along with the HELP message through the SPOT satellite network every five minutes for one hour or until cancelled. Your contacts will receive an SMS text message including coordinates, or an email with a link to Google Mapsâ„¢ showing your location. Custom Message - Stay in touch while off the grid by sending your custom message. Set up a message before leaving to send to contacts with your GPS location. Use this feature as a secondary OK message or transfer your personal help alert to this message function if you are using a SPOT Assist service on your Help button. When you push the Check In button, you send one pre-programmed message to your contacts. Your contacts will receive an SMS text message including coordinates, or an email with a link to Google Mapsâ„¢ showing your location. Tracking - Allow friends and family to follow your progress online in near real-time and save waypoints so you can review your entire route at a later date.